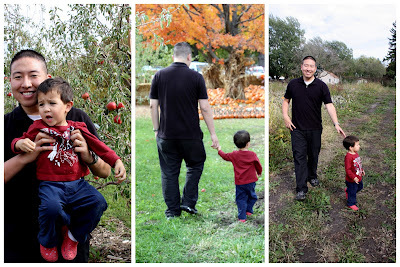 At the beginning of October we took a trip to Sekapp Orchard; about a 10 minute drive from our home. 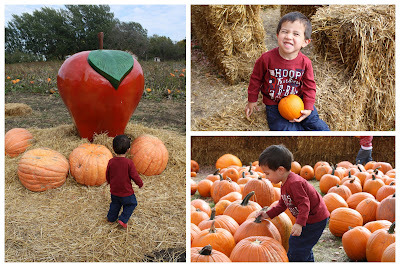 We had to get out to see the pumpkin patch, apple trees, and enjoy the little activities they have set up for kids. Fall has been so beautiful here and I can’t believe it’s snowed twice already. All the leaves are almost off the trees and I’ve yet to post one fall picture (although we’ve taken a ton). David slept through the whole orchard trip, Mikey wandered around the pumpkin patch, hay, and other stuff while we tried to get him to smile, Dan took a ton of pictures, and we left after trying a few of the apple samples. Yum. 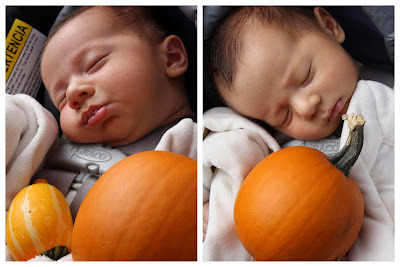 Mikey and the little pumpkins. I was trying to get him to show his teeth and look at the camera. 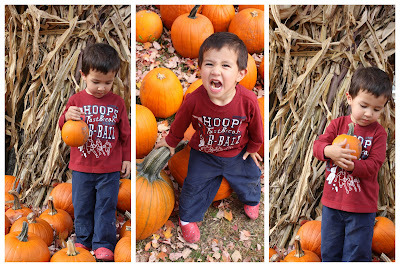 The crazy face in the middle picture is him showing off his gum instead. Yes, our 2 year old is a pro at gum chewing. The big Sekapp apple and Mikey sitting in the mini-haystack maze. 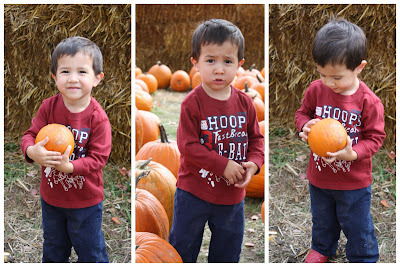 Mikey in the pumpkin patch. More patch. I just love this shot. It reminds me of some remote film set location. Dan took some picturesque photos of our surroundings. I liked this one of the apple and ladybug. Our house has been infested with ladybugs lately. They come in our back door somehow. It happened last fall as well. Hmmm, I have yet to figure out how they are sneaking in. Today while I was teaching piano lessons Michael brought me a ladybug on his finger. “Mom, can’u open the door?” He wanted to let it go outside. I’ve been collecting them from off the walls lately and dropping them outside. Today was the first time he’s picked one up on his own. I think he finally realized they aren’t scary. Did you know that when they fall off a wall or surface they will fly until they find another surface to land on? Good to know since I’m sure all of you are collecting ladybugs. It helps to put a cup directly underneath them when you tap them off. Well, at least they aren’t spiders.